The grant is in support of the upcoming exhibition "Art for the Future: Artists Call and Transnational Solidarity in the 1980s." January 24, 2019 – Medford, MA - The Andy Warhol Foundation for the Visual Arts has awarded Tufts University Art Galleries a $75,000 grant in support of the upcoming exhibition Art for the Future: Artists Call and Transnational Solidarity in the 1980s. Opening in Spring 2021, Art for the Future will be presented in the galleries at the Aidekman Arts Center in Medford. The Andy Warhol Foundation for the Visual Arts provides highly sought-after support for curatorial research leading to new scholarship in the field of contemporary art. This is the first Warhol project grant awarded to Tufts University Art Galleries. Art for the Future: Artists Call and Transnational Solidarity in the 1980s is co-curated by Abigail Satinsky, curator at Tufts University Art Galleries, and Erina Duganne, associate professor of Art History at Texas State University. It focuses on the seminal and largely forgotten 1984 nationwide activist campaign "Artists Call Against US Intervention in Central America" that grew out of the friendships, solidarity networks, and political organizing of artists and cultural workers from North and Central America, including artists and curators such as Lucy Lippard, Doug Ashford, Leon Golub, Josely Carvalho, Daniel Flores y Ascencio, Jon Hendricks, and Coosje van Bruggen, among others. 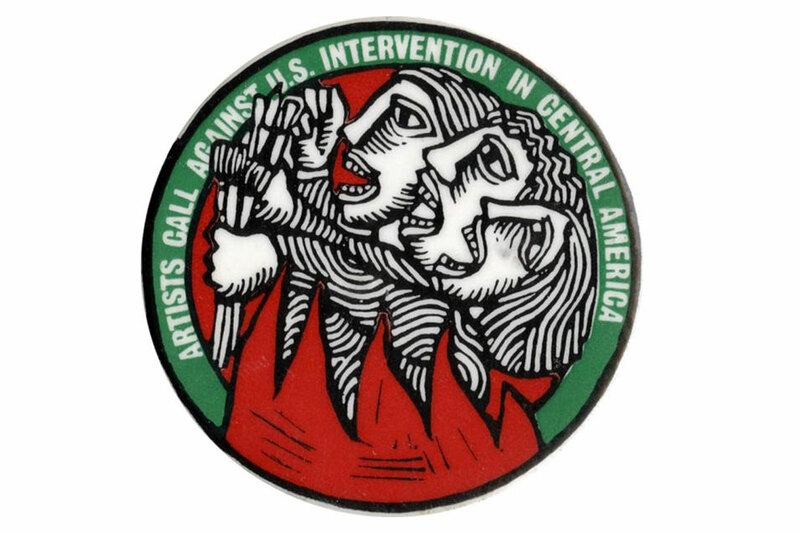 To visualize this mobilization against U.S. intervention in Central America – as well as its legacy today – Art for the Future: Artists Call and Transnational Solidarity Since the 1980s will focus on the friendships and alliances between US and Latin American artists that led to the development of Artists Call. More than 1,100 artists participated in the campaign, including Louise Bourgeois, Jimmie Durham, Hans Haacke, Alfredo Jaar, Catalina Parra, and Gregory Sholette. The exhibition will also feature new works by contemporary artists with connections to Central America to show how these activities of the 1980s have served as models—both explicitly and implicitly—for socially engaged artists working between art and politics today. The Warhol grant supports archival research, exhibition development, and the publication of an illustrated catalogue that will be a critical text for future scholars in fields related not only to the visual arts and social activism but also history and political science. In accordance with Andy Warhol’s will, the mission of The Andy Warhol Foundation for the Visual Arts is the advancement of the visual arts. The Foundation manages an innovative and flexible grants program while also preserving Warhol’s legacy through creative and responsible licensing policies and extensive scholarly research for ongoing catalogues raisonnés projects. To date, the Foundation has given over $200 million in cash grants to over 1,000 arts organizations in 49 states and abroad and has donated 52,786 works of art to 322 institutions worldwide. Housed within a research university and an art school, the Tufts University Art Galleries engage with artists, scholars, and works of art to provoke discourse around cultural and social contexts. Through exhibitions, programming, research and collecting, we create a pedagogical platform for the Tufts community and wider publics. The University Art Galleries department oversees the exhibition spaces in the Shirley and Alex Aidekman Arts Center in Medford, the galleries and public programs at the School of the Museum of Fine Arts at Tufts University in Boston, and the Tufts University’s Permanent and Public Art Collection, presented throughout the campuses.